Corporate Casual provides a professional networking and educational environment that fosters relationships between quality, experienced business professionals who meet our member profile criteria. Our membership includes attorneys, accountants, bankers and miscellaneous professionals who focus their practice in the areas of general business, real estate, M&A, employment law, estate planning and employee benefits. We look for professionals whose business practices focus on closely-held (family and locally based) businesses that range from start-up “one man” operations to established 1,000 or more employee companies as well as companies transitioning through a sale or acquisition. We pride ourselves on our membership standards and invite you to meet with a board member or our membership committee to see if Corporate Casual is the right fit for you. Use Corporate Casual as your primary source for developing new business relationships, networking and having fun! In addition to presentations by some of the community’s top business and civic leaders, our monthly get-togethers provide a chance to talk with other professionals about their experience and expertise. Please register online. Individual and corporate memberships are available. Regular meetings are held on the fourth Tuesday of every month. At each meeting, we offer informative and dynamic speakers that appeal to all three professions. Our regular monthly meetings are held at one of the finest private and social business clubs in the country, the Wisconsin Club’s City Club, located in downtown Milwaukee. 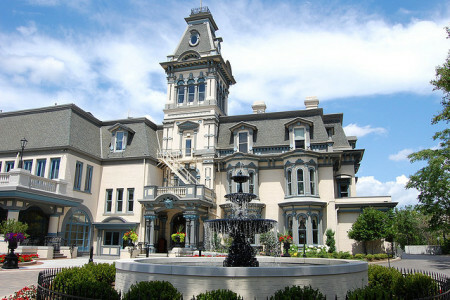 A mansion built in 1848 with its heritage and architectural beauty maintained, it serves as a beautiful and easily accessible location for business professionals across the area to gather.